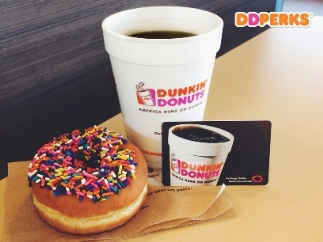 This is a very exciting week for Dunkin’ Donuts as we launch the new DD Perks® Rewards program to offer guests nationwide points toward free Dunkin’ Donuts beverages for every visit they make at participating locations. 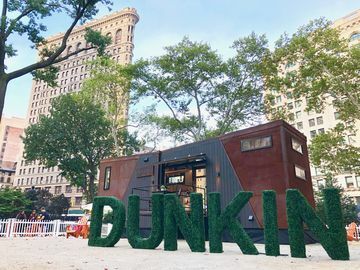 In order to reward our guests for their loyal business in a fast and convenient way, our team worked long and hard to design a program that is uniquely Dunkin’ with features we knew DD fans would enjoy. 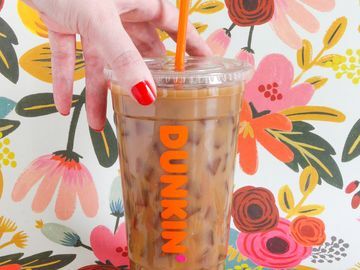 • Earn Rewards Towards Your Favorite Dunkin’ Beverages: I love that our most loyal Dunkin’ guests are now going to be rewarded for buying the food and beverages that keep them running every day. For every $1 a guest spends on qualifying purchases, they will receive 5 DD Perks points. 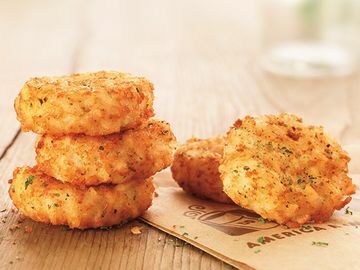 Once they reach 200 points, they will receive a free medium beverage of their choice. All you have to do is sign up at www.ddperks.com - how easy is that? • Ease of Use: Here at Dunkin’ we love technology and the role it plays in making our lives easier. With DD Perks, guests can enroll a new or existing DD Card using either a physical card, or a virtual one loaded onto the Dunkin Mobile® App. If you choose, you’ll never have to reach for your wallet again at participating Dunkin’ locations – just grab your phone to pay using your Dunkin Mobile® App. • Personalized Offers: No one enjoys receiving discounts and offers that don’t apply to them. 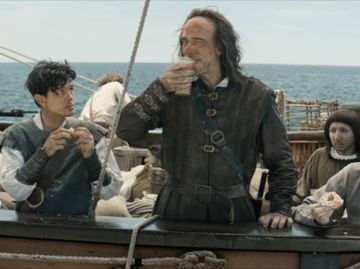 The great news is, with DD Perks you will receive exclusive, personalized, special offers to earn bonus points for specific food and beverage purchases based on your personalized buying behavior. Your DD Perks Rewards will come to know you personally over time, ensuring that the offers you receive are specific to you and only you. • Share the Love: Guests have the option of sharing rewards with friends and family to spread the Dunkin’ love. Whether you want to send someone a pick-me-up, celebrate a birthday, or just bring a smile to a friend’s face, sending someone a free medium beverage reward coupon is sure to do the trick. Once you log on to ddperks.com, go to “Share a Reward” under the “My Perks” tab. You will be able to send the Reward Coupon to the recipient via email. Once you share a Reward Coupon, it will be removed from your account. I hope you’re as excited about the DD Perks Rewards program as we are. 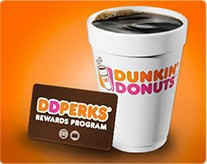 Visit www.ddperks.com to enroll today and start earning rewards towards your favorite Dunkin’ beverages. If you have any questions about DD Perks Rewards, be sure to check out some helpful frequently asked questions here, or post a message on our Facebook page or tweet us @DunkinDonuts.